CEP knee high socks are the ideal women’s sportswear for any kind of training. The combination of proven medi compression technology and selected materials ensures ultimate comfort and a perfect fit. They prevent pressure points and blisters and protect against cramps and muscle injuries. The effective compression of the medi compression fabric helps stabilize your ankle, reduce muscle soreness and promote fast recovery. And breathable fibers guarantee superior heat and moisture management in your shoes. CEP knee socks provide a targeted boost of energy, greater endurance and enhanced performance for all athletes and fitness enthusiasts and help women recover faster by combining unique compression technology and superior quality made in Germany. Whether your passion is running, riding, wintersports, hiking or fitness: CEP has the right compression legwear with the right support for every woman and every demand for all kinds of sports. 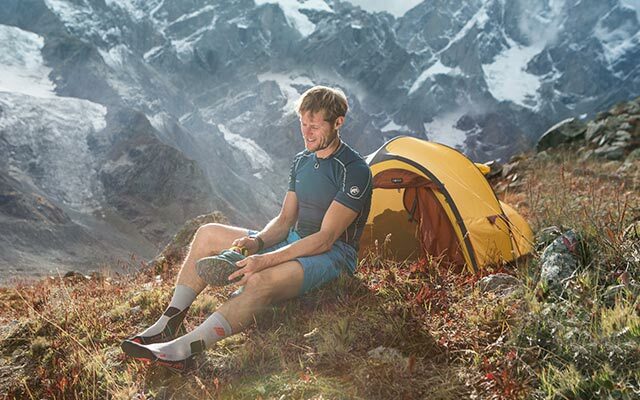 Discover sports socks made just for you.